Many specialty children's apparel stores use wooden hangers—for good reason. 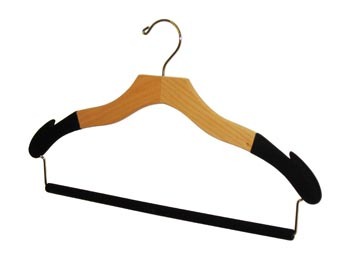 Small wooden hangers send a message of quality and care to customers who walk through the doors. 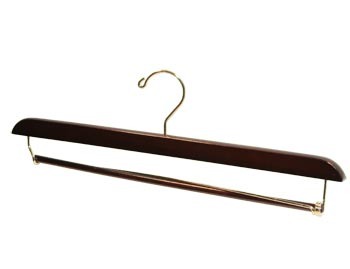 However, kid's size wooden hangers are not just for shops. Parents who care about preserving their children's clothing use wooden clothes hangers, too. Children are never too young to learn how to keep their things looking nice. 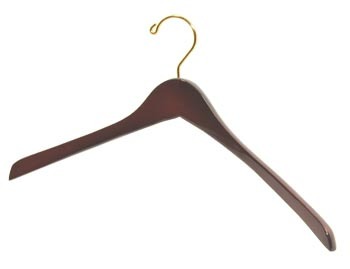 The Hanger Store offers a range of small wood closet hangers for junior, infant and toddler clothing. Not only do they help keep your kids' clothes fresh and new in appearance, but they also allow parents to organize a child's closet, making it much easier to get dressed for school or events. 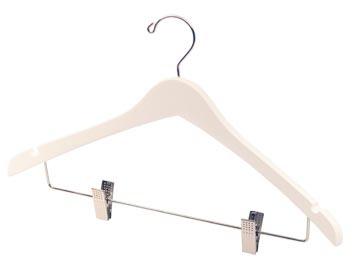 These hangers allow you to protect your child's holiday outfits so they are ready for the next big day. Our clothes hangers for children come in painted white wood and natural finishes. 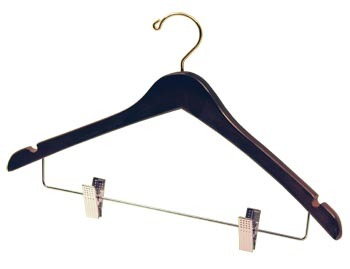 We offer hangers with clips for pants and two-piece outfits as well as hangers just for tops. They come in 10 and 12 inch widths for babies and older children. Some come with notches to hold straps and ties securely. They are durable and prevent common problems with children's clothes such as stretched-out necks and shoulders. 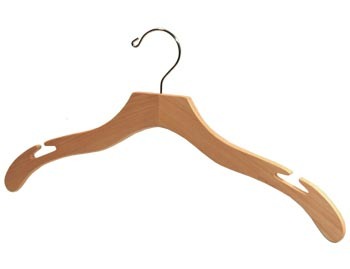 The Hanger Store offers small sized wood hangers for custom, bulk and wholesale purchases. We sell custom hangers to stores, hotels, schools and other establishments, allowing them to strengthen their branding with these high-quality hangers. 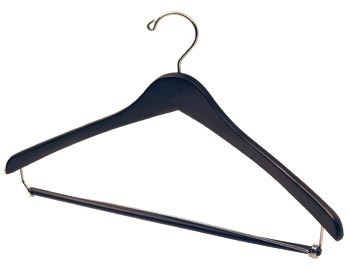 We also offer bulk purchases (100 or more hangers) for commercial operations as well as wholesale shipments. When you order wholesale, you will save at least 15 percent. For more information about bulk and wholesale orders, please contact us.